Justin St-Pierre : La Faille. 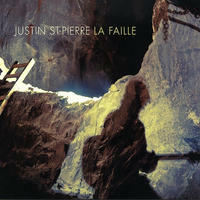 La Faille (The Fault) is Justin St-Pierre's second album, which he published in 2011 as a tribute to his native land, in which gold mining still constitutes an important industry. Dedicated to his father, who died in the mines, this album also is a way to say goodbye to this region. Deep and soulful, La Faille will make you dream of vast landscapes and lead you into the depths of Mother Earth. License Acoustic percusive guitar by Justin St-Pierre for your project. Play the music of Justin St-Pierre in your restaurant or store.